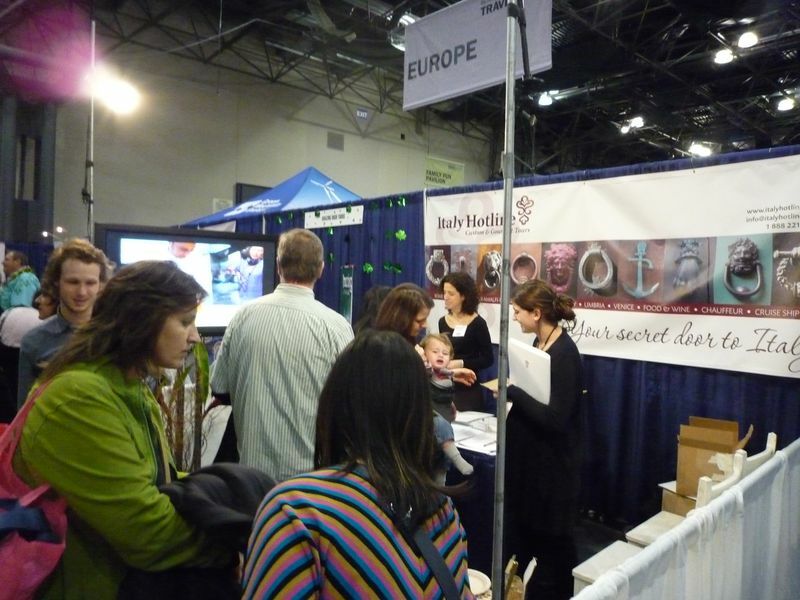 It was such a pleasure to be with Sienna Reid, this past weekend, at her booth at the NYTimes Travel Show in NYC. Her company, Italy Hotline, is based in Roma and offers customized tours to Italy, many of which are focused on food and wine. 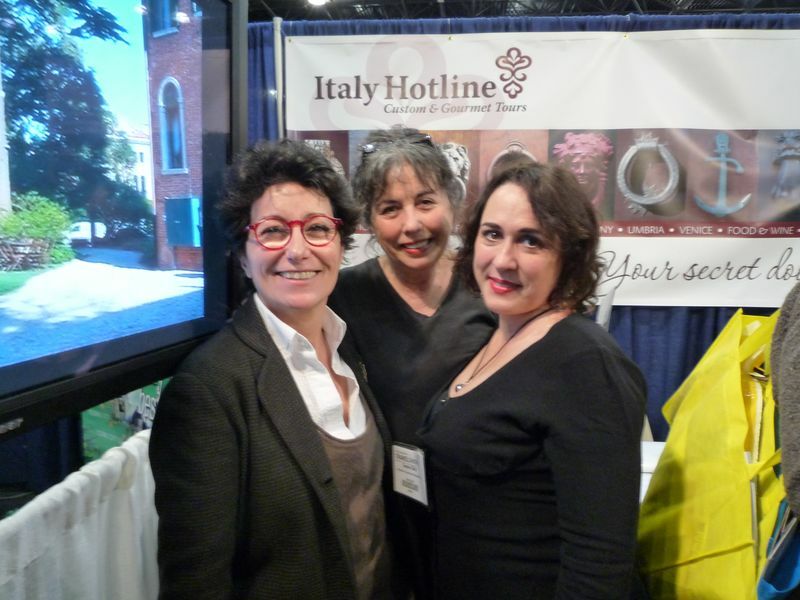 Hard to believe, Italy Hotline was one of the very few “Italian” booths at this important show! Sienna’s booth was a huge success: it looked like everybody (the organizers say 15,000 attended each day) is about to go to Italy. Gustiamo served Italian artisanal foods from the regions Italy Hotline to goes more often: Pandoro from Padova (near Venezia); cookies from Lazio (near Roma); fruit preserves from Campania (near Pompei). Everybody stopped by and after they tasted the food, they went to talk to Sienna, Gina, Marcello (Sienna’s son) and Matilde because they want to meet the food artisans who make those wonderful products in Italy! As if this were not enough, Sienna invited food writer Pamela Sheldon Johns who flew in from Toscana. Left is Beatrice, Pamela and Sienna. Pamela talked about Italian cooking and best ingredients. She also served food: artisanal pasta on saturday and crostini with beans puree on sunday. This was the cherry on the cake; the booth went wild and you could not contain the crowd. Watch the video, below (click on the arrow); it is the beginning of Pamela’s presentation where she talks about Italy Hotline and her books “Great Pasta Sauces” and “Great Appetizers“. Pamela also talks about Gustiamo’s fabulous line of Italian artisanal products. Grazie mille, Pamela!!! Ladies, this was a great job, glad we were a part of it, congratulations to all and much success to Italy Hotline! Previous Post Whole Foods – Demoing Like There Is No Tomorrow! Next Post Gustiamo, Whole Foods and SEIZE THE MOMENT!! !